Womens Tops, T Shirts, Blouses & Ladies Fashion | Collections Etc. Shop Collections Etc. tops and shirts and find modern style with the value you're looking for. 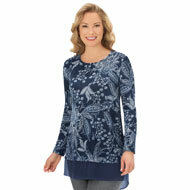 Discover fashionable tops such as women's tunics, cardigans, button downs, statement tees and more. 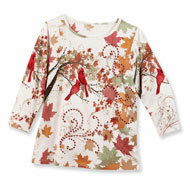 For a little more pizzaz, try our affordable, flattering printed tops with sequins. Our stylish and affordable hi low hem tops are the talk of the town. They are flattering for all shapes and sizes. Don't stop with the stylish high low top, we also have comfortable cardigans for women and scoop neck tops too.